We’re working with Mr. Czingáli Zoltán from Neolas company for several years now. He’s a true digital-strip professional and finally he has shared one of his work at our blog post. The basic idea by ZYM-ZYM STUDIO was to enlarge the Mound (Országalma). 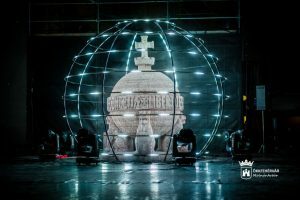 The first plan was a 5-meter sphere with analog white led strips. 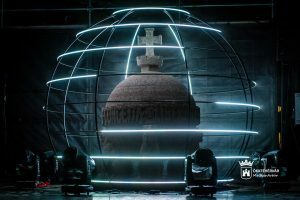 Because the 5m diameter would not fit into the stage, we made it smaller – it was finally 3.5m in diameter. In the basic concept there were only 8 horizontal circles. If we would use just analog LED strips, then the animation possibilities would be poor. That’s why we’ve proposed using digital led strips. We’ve also suggested to use LED on the vertical inner curves too. This provides additional animation possibilities. We intended to be as simple mechanical parts as possible. The guys from Big Box company have helped us design and manufacture special elements that fixed the horizontal curves to the vertical curves. We’ve hidden all the electrical wires in the vertical curves. 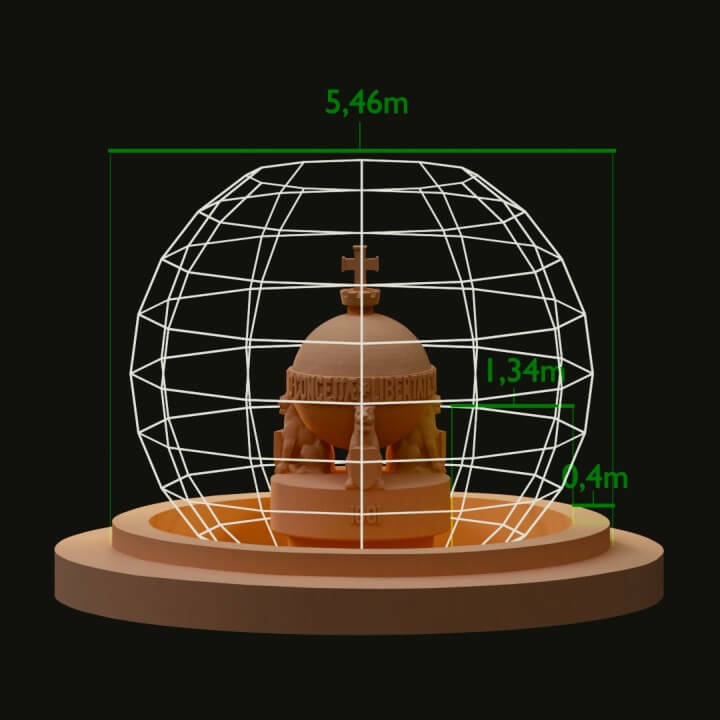 The sphere is huge, but thanks to lightweight construction the total weight of the sphere is just 52kg. 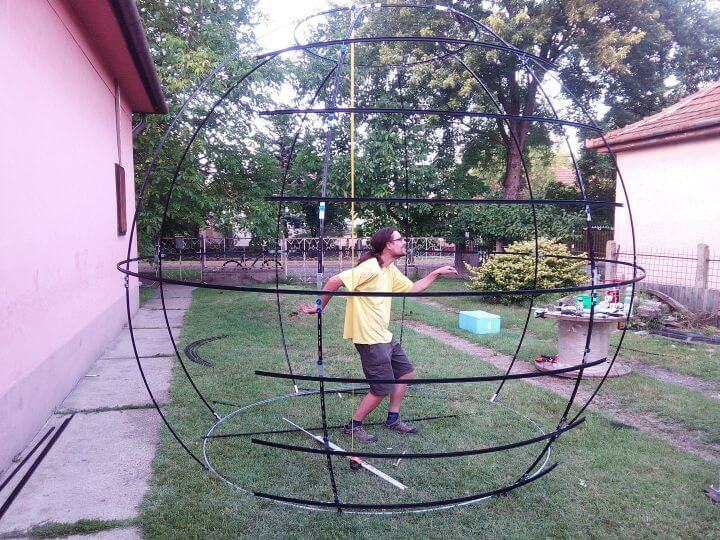 We’ve also designed the sphere so that it can be assembled by two people in less than 1.5 hours. This makes the sphere perfect option even for rental! We have been using the LED Strip Studio (LSS) system since 2014. That’s why we’ve decided to use LSS2 Ethernet and an LSS2 distributor to control. LSS provides a great visualization options, we have created a demo animation, that was immediately accepted by client. For the final animations, we mapped the 3D sphere into 2D, which allows easier effect creation. In the light show we’ve used both strip and video scenes from LED strip studio. 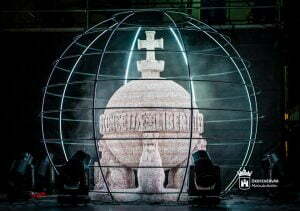 The sphere was planned and produced by Zoltan Czingáli (cingi) and by Tamás Czingáli (gojo). You can find more information about their Neolas company at their web page or YouTube videos.